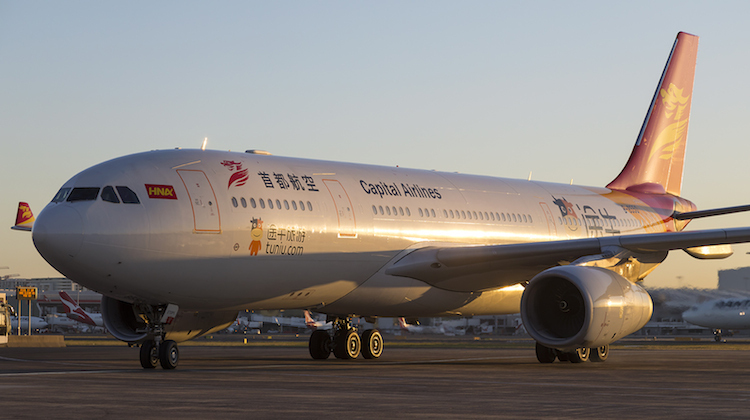 Beijing Capital Airlines has added a second Australian port to its fledgling international route network with the start of flights between Sydney and Qingdao. The inaugural service of flight JD479, operated by Airbus A330-200 B-8550, touched down at Sydney Airport shortly after 0600 on Monday, after its 11-hour journey from Qingdao. The aircraft was expected to be on the ground for about five hours before operating the reciprocal JD480 back to Qingdao. The four times weekly Sydney-Qingdao service is Beijing Capital Airlines’ second Australian route, following the start of Shenyang-Qingdao-Melbourne flights in September 2016. 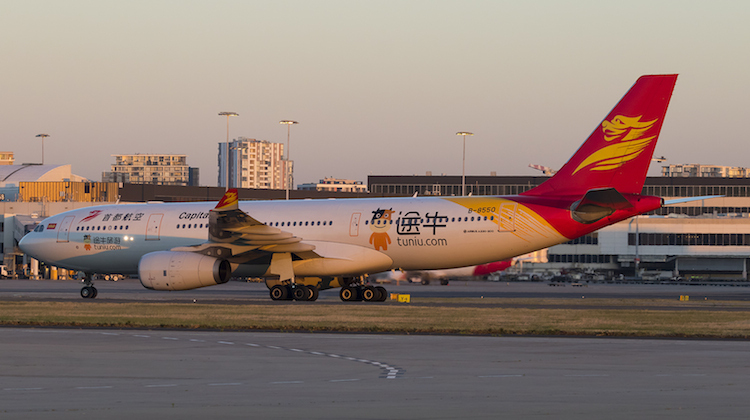 Beijing Capital Airlines is one of the HNA Group-affiliated carriers alongside Hong Kong Airlines, Hainan Airlines and Tianjin Airlines that are part of the alliance with Virgin Australia that received approval from competition regulators in June. Under the alliance, the carriers planned to codeshare on each other’s services between Australia and mainland China and Hong Kong, including flights via New Zealand and on routes within HNA Group airlines’ domestic networks. The first stage of the partnership kicked off in July, when Virgin Australia commenced nonstop flights between Melbourne and Hong Kong with A330-200s and added its VA airline code to Hong Kong Airlines’ flights from the Harbour City to Cairns and the Gold Coast. The Australian carrier was also planning to operate its own flights to mainland China. There would also be reciprocal frequent flyer benefits, cooperation on joint pricing and scheduling of services between Australia and Hong Kong and Australia and mainland China. HNA is a major shareholder in Virgin Australia. Must be an amazingly spacious cabin in the Beijing Capital Airlines A330-200! Their 36 business and 186 economy layout when compared with, say Qantas’ 28 business and 243 economy seats, means that while the Chinese airline has just 8 more business class seats it has 57 fewer economy seats!!! Even Virgin Australia’s A330-200s have 20 business and 255 economy seats. The A330-200 passenger capacity is 222 on Beijing Capital, 271 on Qantas and 275 on Virgin Australia.